Our top priority at GHHC is to assist each individual patient in achieving and retaining the highest level of independence possible. We know exactly how important dignity, control, and elevated self-confidence are to our clientele. In most cases, our home health and care services are covered by most all major and third party medical insurances as well as Medicare programs. 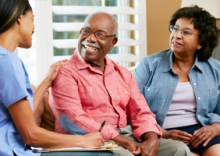 Inquire today about you and/or a loved one receiving home care services from our caring staff with no out of pocket expenses. 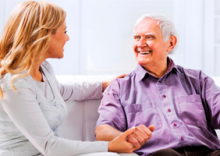 Our caring staff at Golden Home Health Care understands just how important maintaining dignity and independence is. We know that these seemingly insignificant elements are actually central to our clients’ vitality and quality of life. We do all we can to ensure they retain as much as is physically possible. We would be happy to provide you with an in home evaluation and present you with our comprehensive services for absolutely no fee, no pressure, and no obligation. Please take a minute and read what other people are saying about us. The staff at Golden Home Health Care has not only been professional and vital to our family, but kind and caring as well. They really put forth a great deal of effort and patience to be attentive. They have been a God send to our entire family. There is no doubt that they have their patients’ best interest at heart. One of the best things my physician ever did for me was referring me to the Golden Home Health Care agency. The wonderful staff members guided and assisted my grandfather with his recovery every step of the way. I know from other families’ experiences that a hip replacement is extremely challenging and many times patients are never able to get back into full swing. I definitely recommend speaking with this agency in times health crises. My mother was in great need during her difficult recovery and I was very nearly at my wits end. I was having issues keeping up with my responsibilities in daily living, family, and career. I quite honestly do not think I could have made it through all of this, if not for the caring staff at Active Golden Health Care. They came in and gave me a much needed respite and treated my mom as if she were their own mother. © 2018 Golden Home Health Care. All Rights Reserved.